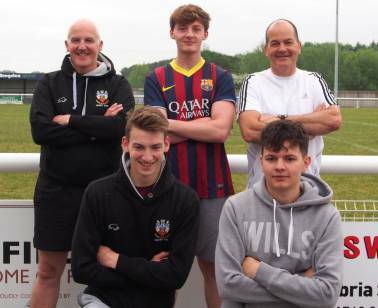 On Friday 3rd and Saturday 4th of June, Atkinson Building Contractors of Penrith held a 5-a-side football challenge to raise funds for their chosen charity this year “The Brain Tumour Charity”. Directors Chris Ryder and Bruce Richardson from the firm entered a team to support the event. Well done to all the teams that took part on the day and we hope the event was very successful. Photo from left to right:- top row Chris Ryder, Jamie Roper, Bruce Richardson. Bottom row Kyle Ryder and Alex Richardson.